Customers of Africa’s lifting leader Johnson Crane Hire were recently treated to an impressive display of a selection of the company’s lifting equipment at an open day where its heavy lift fleet was likened to the ‘big five’ of the wild. Next in line is the LR 600 crawler crane, displaying the toughness of a buffalo. He notes that the buffalo is also the ultimate herd animal, reflecting the company’s focus on teamwork to get every job successfully and safely accomplished. “The rhino is the creature that comes to mind when talking about our powerful Kobelco 400 ton crawler crane,” he says, “as they share the attributes of ruggedness, durability and stability.” At the same time, he notes, heavy lifting also requires speed, precision and agility – qualities that make the LTM 750 ton hydraulic mobile crane comparable to the leopard. 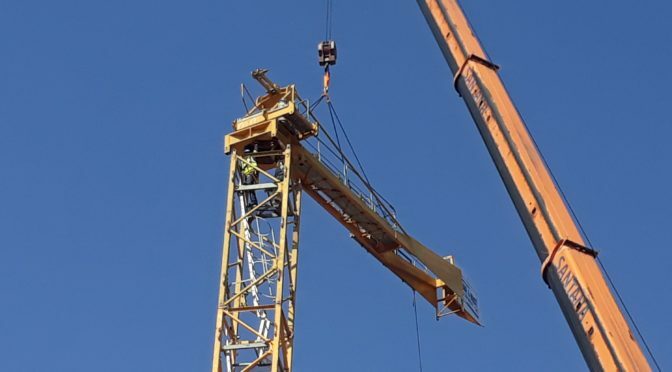 Last but certainly not least is Johnson Crane Hire’s LG 750 ton lattice boom crane, which Yaman compares to the lion – king of the Jungle and a force of nature and leadership. 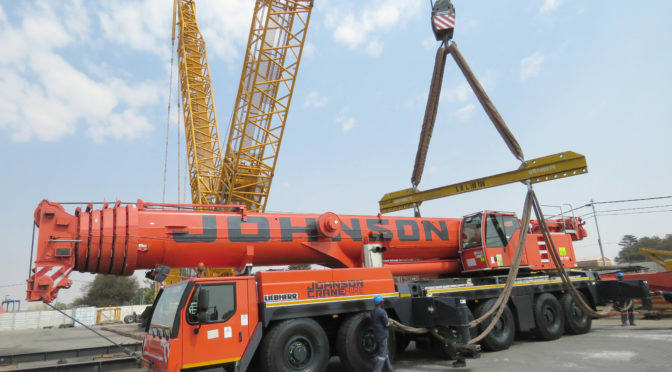 Ranked amongst the top crane hire companies in the world, Johnson Crane Hire operates the largest mobile crane fleet in Africa, with strategically located operations to ensure quick delivery and ongoing support to customers. Outside of South Africa, it is actively engaged in several African countries including Botswana, the Democratic Republic of the Congo (DRC), Mozambique, Zimbabwe, Lesotho, Swaziland, Namibia and Zambia. 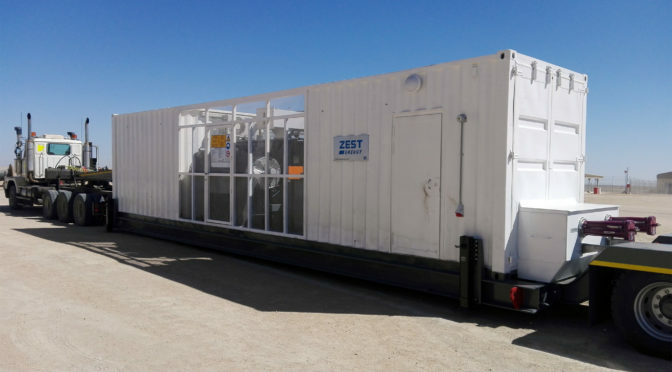 When Swakop Uranium’s Husab mine near Swakopmund in Namibia needed mobile pit transformers, Zest WEG Group’s Integrated Solutions Division was able to not only custom-design a fit-for-purpose solution, but also to adapt its design to suit new requirements. 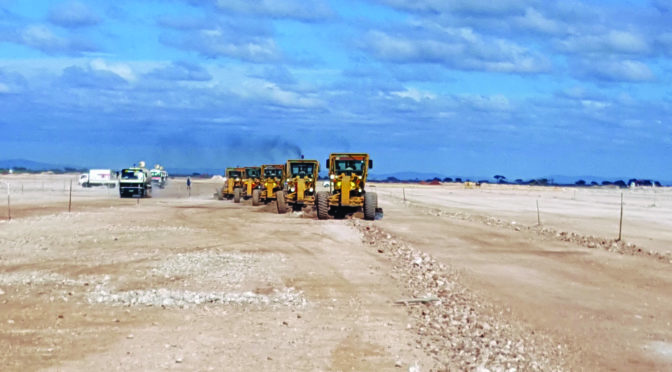 In some cases, transporting a skid-mounted containerised transformer greater distances outside of the mining area meant employing a crane and low-bed, and the mine was looking for a more efficient and cost effective solution. To optimise the mobility of these units, Zest WEG Group Integrated Solutions Division designed a removable gooseneck system on the front of the unit, and a removable bogey at the back. Gerrard emphasises that these solutions are not off-the-shelf; rather, everything they design is fit-for-purpose and engineered for a specific application. Such a custom design now makes it possible to retrofit the existing units currently on site, as and when necessary. The mobile transformer was designed upward from a robust steel base-frame with a modified 12 metre shipping container on top. The mine was provided with an interface point to receive 33 kV from the mains reticulation, stepping down with a 5 MVA transformer to 6,6 kV, which was fed out to the equipment. Keeping within the dimensions of the container to facilitate mobility, the engineering design includes a switchgear chamber for the 33 kV supply, a transformer chamber and another switchgear chamber for the 6,6 kV output. The container also protects the electrical equipment from debris such as fly rock in areas close to drilling and blasting activities. Provision for ventilation has been provided in the container, and the transformer chamber roof is removable so as to allow for easier access during maintenance. 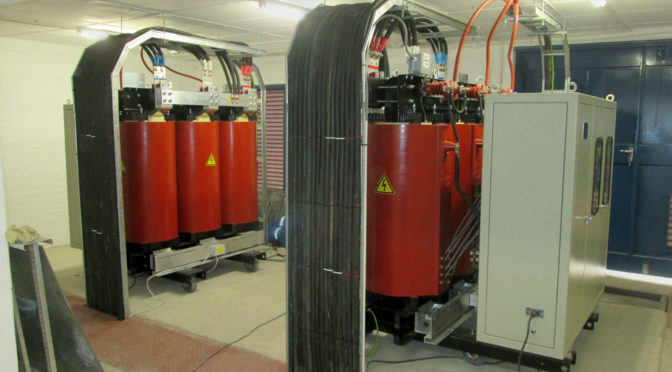 The new design also includes both 33 kV and 6.6 kV quick couplers, making for safe and fast connection of the power supply into and out of the unit. Being mobile within harsh mining conditions also required a level of robustness to be designed into the engineered solution. “To protect the components – during relocation – we reinforced the switchgear to limit the movement of these panels,” says Gerrard. “We also took into consideration the seismic rating of the sensitive components. The selection of switchgear was another key design consideration to ensure minimum unplanned downtime in this production driven environment. For this reason, fixed pattern switchgear, which offers better performance in mobile applications was installed as it also requires minimal maintenance. When selecting components for any power solution, Zest WEG Group Integrated Solutions Division makes use of those brands that are well supported by the OEM, and those that preferably have a service facility close to where the customer’s equipment is being used. “Spare parts availability and product support is vital to contribute towards efficient operations, especially where the equipment incorporates advanced technology that requires specialist skills,” says Herbst. Zest WEG Group’s Integrated Solutions Division provides custom-engineered solutions in the power generation, electrical infrastructure and mobile solutions market space. The son of a Greek immigrant, Mentis grew up in Johannesburg in a house behind his father’s general dealer shop in Kerk Street. He became an apprentice fitter and turner in 1938, having completed his Advanced Technical Certificate at Witwatersrand Technical College, taking his first job at SCAW Metals. He started his first business after the war at age 25, partnering with his brother-in-law to produce equipment that varied from vegetable-oil expellers, sweet manufacturing machinery and bakery equipment, to gas producers, lawnmower components and brass window and door fittings. His big break came in 1952 when the US’s Kellogg Corporation needed to source a suitable floor grating for the mammoth Sasol contract they were managing in the Vaal triangle. The product was not available locally, and the grating imported from Europe was too light for this application. 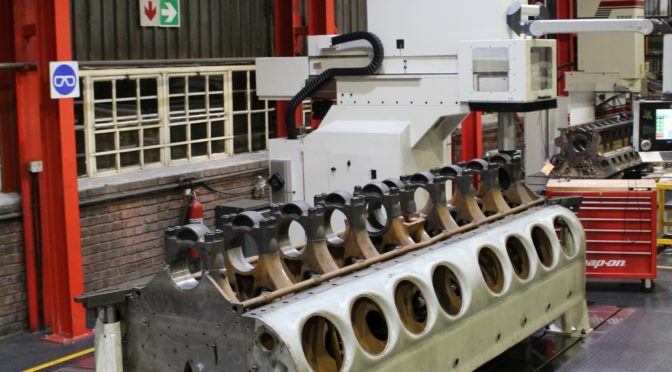 With his experience of designing and adapting machinery for special purposes, Mentis developed the necessary equipment to manufacture the grating, and supplied nearly 2,000 tonnes of it to the Sasol project. In the late 1950s, he designed and patented ‘Rectagrid’, a completely new type of grating – along with a complete manufacturing plant to allow mass production on a cost-effective basis. So successful was this facility that a similar plant was later produced and exported to the United Kingdom. This was one of several Andrew Mentis (Pty) Ltd’s exports that earned the company the prestigious State President’s Award for Export Achievement. Mentis Rectagrid remains South Africa’s leading grating product today – and is even copied by other manufacturers. He created a family business; his late wife Mary, in the early days, even worked the lathes in the garage and his three sons – Clive, Brian and Roy – all took a role in the business during their careers. The third generation is now engaged. Andrew himself would still clock in at the office every morning into his 90s, even after some of his children had already retired. His contribution to the engineering industry was recognised by his position as a Fellow of the Institute of Engineering Technology, the Institute of Production Engineers and the SA Institute of Industrial Engineers. 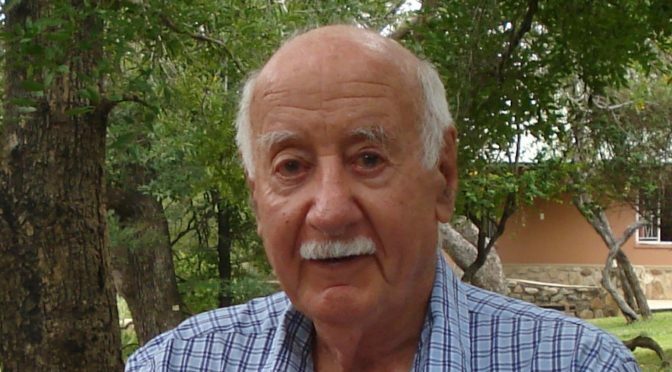 He was a Life Member of the SA Society for Professional Engineers, as well as a member of the SA Institute of Mechanical Engineers and the Engineers Association of SA. Enhanced corrosion resistance is a given with Andrew Mentis’ Rectagrid RS40 (40/40) floor grating making it the ideal solution for any industrial application. 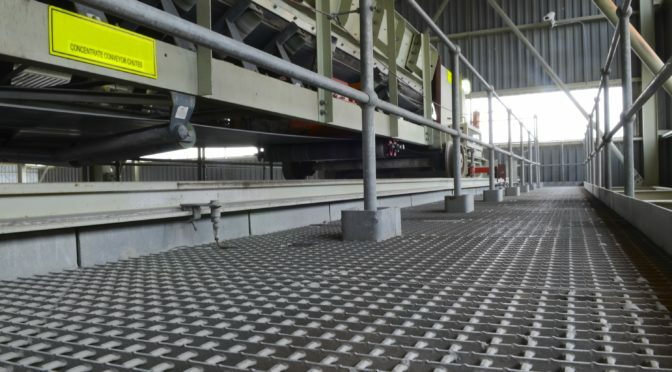 Rectagrid RS40 (40/40) floor grating is manufactured in a world class facility at Elandsfontein, Johannesburg using a pressure locking system pioneered by Andrew Mentis. Quality control during the manufacturing process ensures that close tolerances are maintained, and that the round transversal bar fits tightly through the pierced bearer bar. “Our manufacturing process which produces unquestionable locking characteristics guarantees the structural integrity of the product, and gives customer absolute peace of mind,” Lance Quinlan, national technical sales consultant at Andrew Mentis, says. Rectagrid RS40 (40/40) is formed through a process of compressive pressure locking of bearer bars and transversals to form an exact pitch of 40 mm by 40 mm. Quinlan says that to be considered ‘good’, floor grating elements need to meet certain non-negotiable criteria. “The transversals must be positively and permanently locked to the bearer bars. Quinlan says that because the intersection locking is so positive and strong, it is not necessary to band this grating. “For that reason, we went a stage further and arranged for the panels to leave the rolling mill finished on half pitch all round. This means we can now lay panels adjacent to each other to maintain a perfectly patterned floor with no banding. This is known as the ‘open ended system’. However, if customers require banded grating, we have the facilities to accommodate this. “Rectagrid RS80 (80/40) is identical to RS40 (40/40) grating except that we simply omit every second bearer bar, giving an 80 mm pitch bearer bar. However, it still has a 40 mm pitch transversal. Because RS80 (80/40) has only half the number of bearer bars, the permissible load it can carry is only 50% that of RS40 (40/04),” he explains. Manufactured locally from raw materials supplied by Mittal, Rectagrid is a highly engineered product that has been successfully tested in the field. Engineered for use in the most aggressive duties, Warman® Mill Circuit pumps easily manage large size particles in highly abrasive slurries. 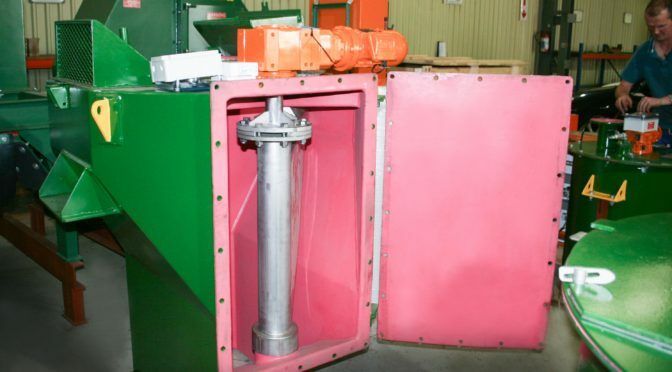 These pumps are designed for the most severe slurry applications such as ball and SAG mill cyclone feed as well as water-flush crushing in mineral processing plants. Weir Minerals Africa is showcasing its flagship mill circuit pump – the Warman® MCR®450 at Electra Mining Africa 2018. Marnus Koorts, Product Manager – slurry pumps at Weir Minerals Africa, says “customers will be able to see this massive pump with its 1.5 metre diameter. Like all pumps in the Warman® MCR® range, this 13 ton slurry handling machine is designed to increase productivity and decrease downtime, compared to older generation and other pumps in the industry”. Koorts says that the Warman® Mill Circuit pumps are based on 80 years of fundamental and applied research, backed by wear performance field trials. The high resilience rubber wear liner enables the handling of coarse particles and ball scats with ease, while its lightweight design relative to other pumps in its category facilitates safer handling. It is also a lower cost than traditional heavy metal liners. Importantly, different material combinations are available to ensure that the customer gets a fit-for-application pump capable of providing reliable performance cost effectively, tailored to their site conditions. The Warman® MCR® pump has a large diameter, low speed, high efficiency impeller. Koorts explains that this can be manufactured from a range of abrasion resistant alloys allowing the most appropriate material to be selected for the customer application. This will increase wear life and reduce operating costs when compared to other pumps in its category. Reduced recirculation is achieved by the deep expelling vanes on the front of the high chrome alloy impellers. Expelling vane tip turbulence is minimised by the patented shroud feature that traps tip vortices and prevents localised scouring on the throatbush face. This, again, extends wear life and reduces maintenance. The split outer casing on the Warman® MCR® pump provides structural integrity and high operating pressure capability, ease of maintenance and safety. This feature also allows internal liners to be fully worn before replacement. Warman® throatbushes feature pre-swirl vanes which offer optimum reliability and wear life. There is a patent pending on this innovative throatbush design which was developed to improve impeller eye wear life and reduce the wear caused by recirculation at the impeller-throatbush interface. This has been accomplished by a series of guide vanes in the pump inlet which induce a rotational velocity in the slurry. An adjustable stuffing box allows for the centering of the stuffing box and lantern restrictor to the shaft sleeve. This increases packing life and decreases gland seal water consumption. Another new design feature is the single-point gland adjustment which facilitates safe packing adjustment outside of the stuffing box guard while the pump is operating. 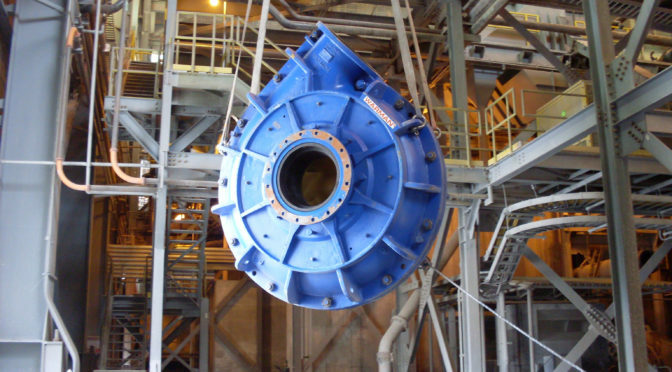 “Our Warman® Mill Circuit pumps are engineered to offer the most cost effective solution across a range of applications, and with installations on many leading mine sites across the globe it is proven to be the mill circuit pump of choice for the hard rock mining industry,” Koorts concludes.